This week in the world of digital news we’re talking new social media scrutiny, Facebook turning 15, Google removing the Notifications Widget, and how Firefox will be blocking auto-playing content. Stick around to the end to see 2019’s new emoji launches too! Social media giants are facing action forcing them to “remove illegal content and sign a code of conduct protecting vulnerable users, including children”, following a BBC investigation around a teen who took her own life after “viewing distressing material about depression and suicide on Instagram”. 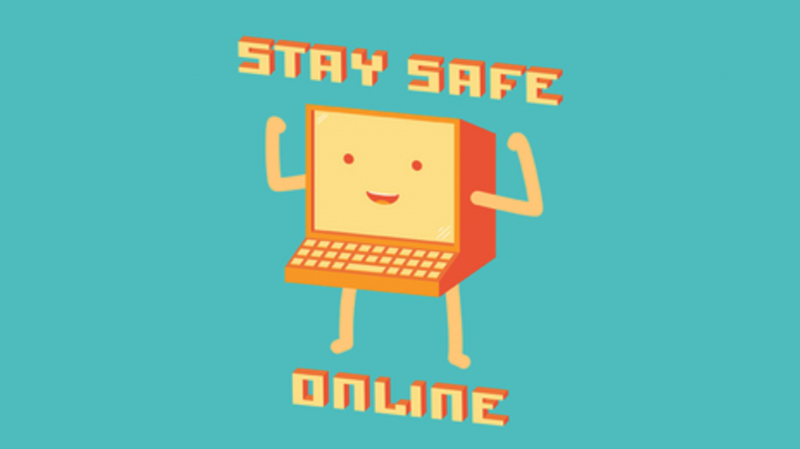 The move ties in with Safer Internet Day, where Margot James, the UK’s culture and digital minister, was expected to use her speech to promote the new regulatory regime. It also aligns with Instagram head Adam Mosseri writing an open letter in The Telegraph this week, admitting that the platform is “not yet where we need to be on the issues of suicide and self-harm” and saying that it needs to do everything possible to “keep the most vulnerable people who use our platform safe”. This is just the latest step in ensuring that social media players like Facebook, Instagram and Snapchat are taking responsibility for keeping users safe. For more on the news, head over to The Drum. This week saw Facebook celebrate its 15th birthday, marking 15 years since Mark Zuckerberg launched the social media platform from Harvard University. Now, the platform is the most popular social media site in the world, connecting billions of people and serving a previously unheard of amount of content and ads to people all over the world. Over its life, Facebook experienced a meteoric rise – dominating the world of social media and snapping up competitors in the process, acquiring Instagram in 2012 and WhatsApp in 2014. Unfortunately, however, recent years have seen Zuckerberg come under fire for a host of privacy and ad-related issues, culminating in 2018 being dubbed “ the most challenging year for Facebook in its history”. This was largely due to a combination of the Cambridge Analytica scandal, some high-profile departures, and data breaches, with Zuckerberg appearing in front of US lawmakers on Capitol Hill – facing hours of questioning around how the company works. If you didn’t see the coverage of the grilling, it’s well worth a watch. 2019 is set to be an interesting time for the platform, as it continues to face scrutiny around its process and technology. Can it rebuild the trust it once had? Perhaps only time will tell. Take a look at the history of the company over at The Drum. The Firefox team have this week confirmed an update to the popular mobile and desktop browser, which will see Firefox 66 block auto-playing video and audio when a page launches on Android. The update will work across both desktop and mobile and will default stop audio and video when loading a page. For anyone who enjoys auto-playing noise, you’ll be able to manually change the permissions for each site individually within Firefox for Desktop, creating your own whitelists of websites. However, for the people who hate clicking on a link or new tab and being confronted with a wall of random sound from an unknown source – this update is a very welcome addition. The Firefox team have confirmed a March 19 release date, so keep your eyes peeled for the launch. Check out more on the detail at 9to5 Google. 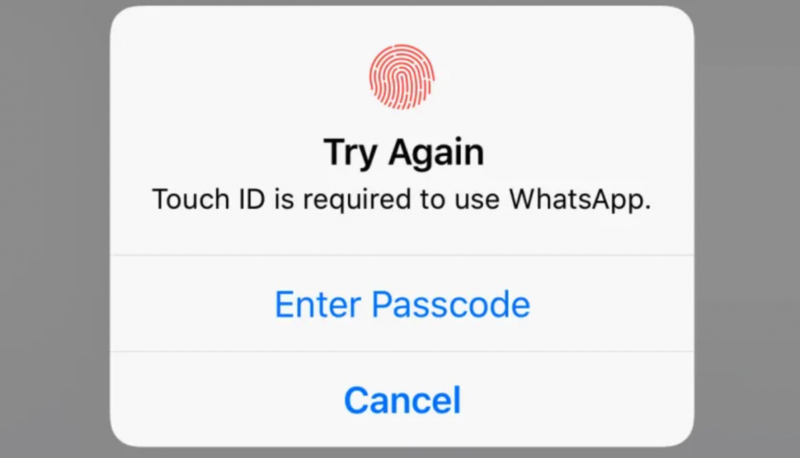 Users of WhatsApp for iOS will now be able to protect the app using their phone’s biometric security – with the option of using either Face ID or Touch ID to restrict access to the software, depending on your iPhone model. This new layer of security will mean that your messages will be protected even if your phone itself is unlocked, but it can’t be implemented on a chat-by-chat basis. You’ll also want to keep an eye on your notifications; message previews will still show, and you’ll be able to reply without unlocking the app. If you fancy giving it a go, head to the app’s Privacy menu within Account Settings to enable the feature. For now, it is only available for the iOS version of the app, but rumours suggest an Android release could be on the way soon. Read more at The Verge. 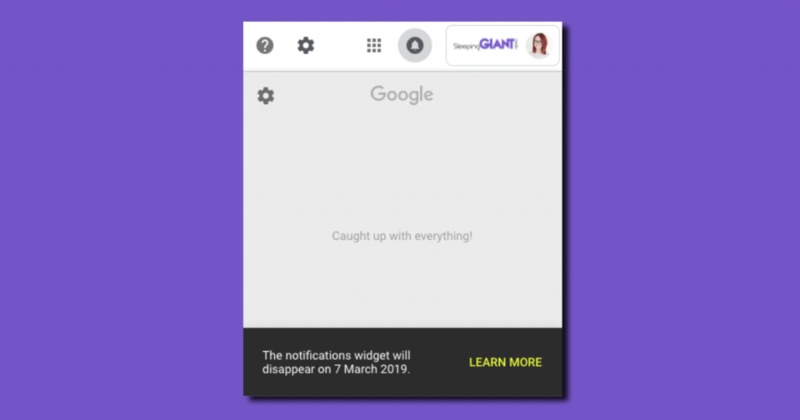 Google users have been spotting a notification this week, declaring that the Notifications Widget in the navigation bar will be being removed from next month. 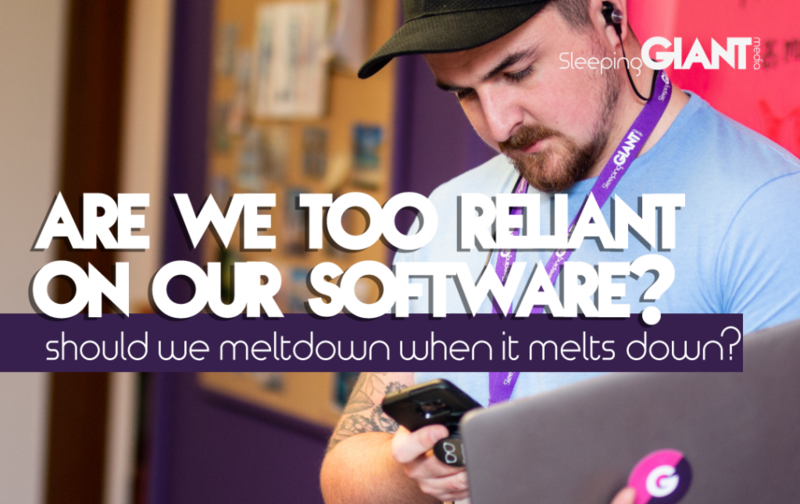 The often-used feature was introduced back in 2011 alongside Google+, aimed at delivering notifications for the social network on whatever Google service you were using – although it soon grew to include notifications for Hangouts Chat and Google Photos. With Google+ for consumers set to be deprecated in April, it’s perhaps not surprising that the notifications option is being cut too. If you still want to see these notifications head into the apps and enable alerts in settings, or read more at 9to5 Google. Just when you thought you couldn’t go any longer without a flamingo emoji or a bionic arm – the final emoji list for 2019 has now been approved. This is the sixth major emoji update since 2014 and includes a total of 230 new emojis – with everything from a flamingo, a waffle, a Hindu Temple and a guard dog. 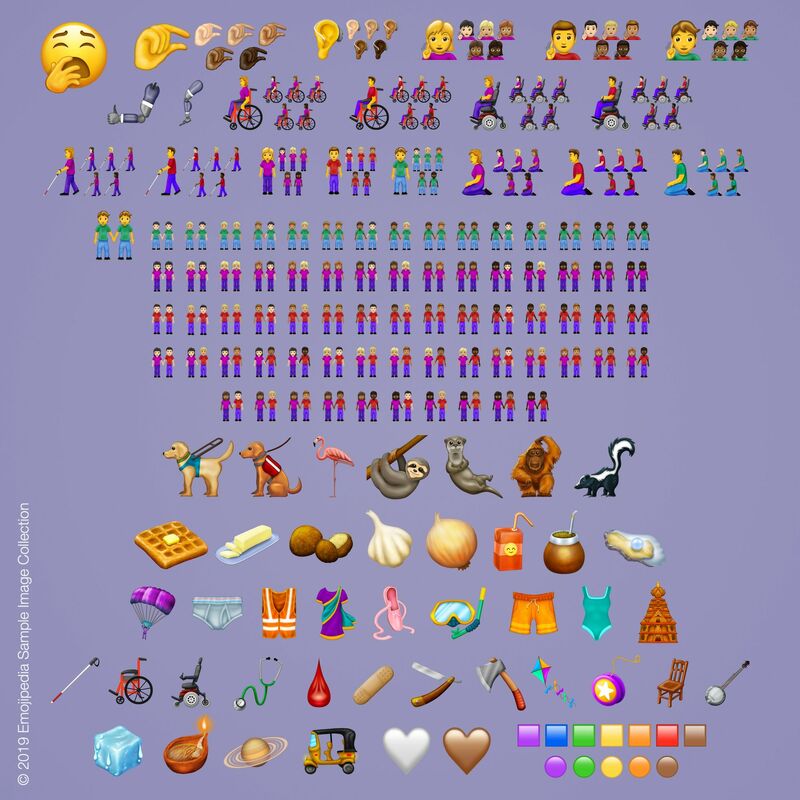 The new additions also work to expand the scope of people that can be represented, with emoji couples featuring a mix of skin tones, a gender-inclusive couple, and people with various disabilities – including a deaf person, an ear with a hearing aid, and a man or woman in a motorised wheelchair. Of the 230 new emojis, the Emoji 12.0 release is comprised of 59 distinct new emojis that have never been seen before – and we can’t wait to see how people will use them. Find out more over on the Emojipedia blog. How happy are you that it’s Friday? 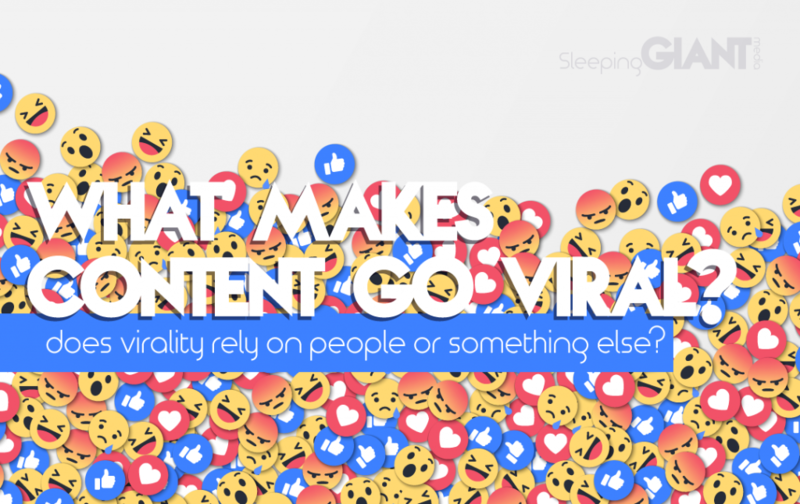 If you want to wile away some more time, check out our latest blog around what makes content go viral, or read our thoughts on whether we’re becoming too reliant on software.